Before visiting the exhibition, I already knew about Mine Kafon(Kafon means “explode” in Dari [x]), designed by Massoud Hassani. I was glad to see his work again and that made me curious about the background of this work. There were three impressive things about his design. The design is so simple that even children can assemble pieces of the ball. It contributes to global issues and the starting point of this design is connected to the personal story. Inspired by the homemade wind-powered toys which he made during his childhood in Afghanistan, Massoud created the Mine Kafon, a wind-powered landmine detector for his 2011 graduation project. 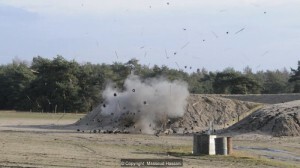 The project rapidly gained interest in the media and in 2012, Massoud and his brother Mahmud organized a Kickstarter campaign to raise funds for the development of the Mine Kafon as a prominent piece of landmine clearing technology. I’d like to start with the general information about the designer and his work and introduce how design can develop for applying in a real life. 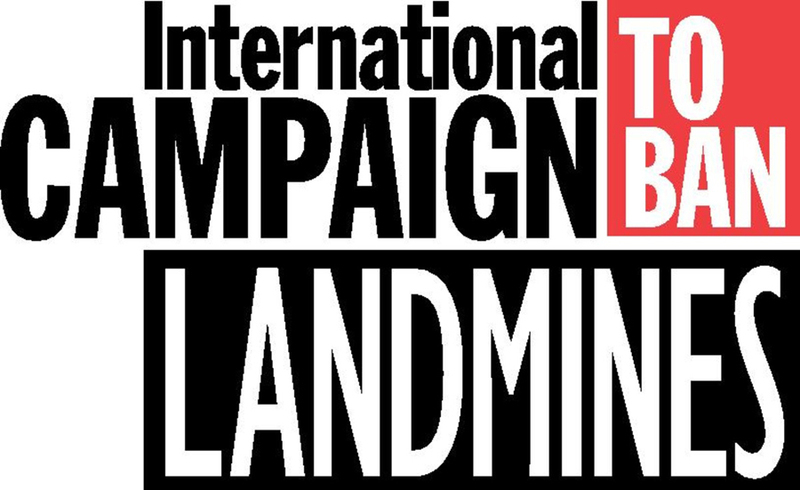 The global statistics on landmines and their effects make sobering reading. According to the United Nations, up to 110 million mines have been laid across more than 70 countries since the 1960s and that between 15,000 and 20,000 people die each year because of them. Many of the victims are civilians – children, women and the elderly – not soldiers. Thousands more are maimed. Moreover, laying landmines is 50 times cheaper than removing them. And the removal is not without human cost either. The UN says that one mine clearance specialist is killed, and two injured, for every 5,000 mines cleared. As the only divided country in the world, South Korea also has landmines issues. 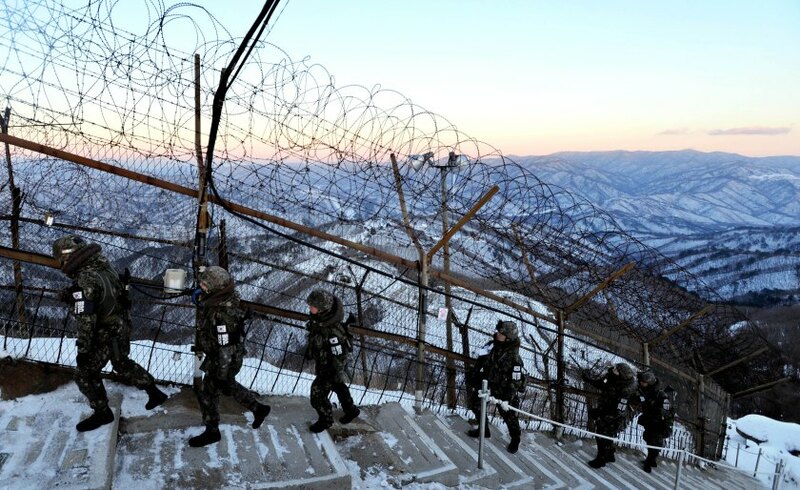 The DMZ(the demilitarized zone) is the de facto barrier that divides the Korean Peninsula roughly in half. It was created by agreement between North Korea, China and the United Nations in 1953 and is 160 miles long and about 2.5 miles wide. 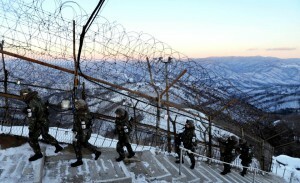 Much of the border, one of the world’s most dangerous flashpoints, is strewn with landmines and laced with barbed wire. It’s reported more than 1,000,000 mines are scattered throughout the area. 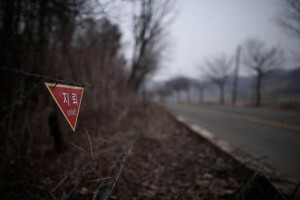 In 2015, there was a landmine blast in the DMZ. As a result, One South Korean soldier had both legs amputated after the blast, while another lost one leg. Unlike South Korea which has most of the landmines in the military zone, Afghanistan has a different aspect. It is one of the worst affected countries, with an estimated 10 million landmines contaminating more than 200 square miles of land. It is something that Massoud Hassani, who was born and grew up and lived in the northern part of Kabul for about 15 years of his life, knows all too well. “We lived out by the airport, and there’s a big desert out there where all different militaries trained. It was a real war zone. 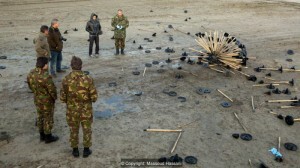 They left a lot of explosives, including landmines. But, it was our playground.“. After moving to Holland in 1998 in search of a better life, Hassani decided to pursue a creative education at the Design Academy Eindhoven. 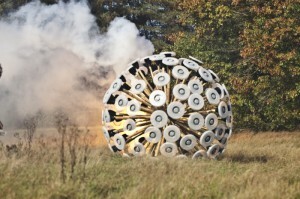 Hassani’s 2009 research project focused on air, fire, earth and biomimicry, the result of which he turned into Mine Kafon. Hassani has designed and built, by hand, a wind-powered ball that is heavy enough to trip mines as it rolls across the ground. The idea is that it is light enough to be pushed by a wind but heavy enough to trip mines. Hassani thinks that humanitarian organizations could take Kafons with them into areas suspected of being mined, and then let the wind do the dangerous work. The Hassanis spent the next two years developing a tool they hope will have a real-world impact: Mine-hunting Drone. The autonomous copter performs a three-step process: It maps an area, detects mines, and then destroys them. 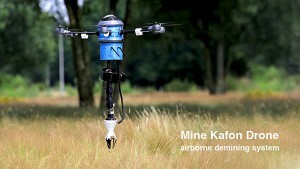 The brothers claim Mine Kafon Drones will clear mines 20 times faster than existing technologies. Removing a single mine by hand can cost $300 to $1,000; one Kafon costs about $1,100 and can cover a full minefield. The Hassanis hope to deploy thousands, potentially ridding the world of landmines within 10 years. Fitted with a 3-D mapping system, the drone locates mines with a metal detector. Using a robotic arm, it places a small detonator on top of them before setting off the device remotely. Following Massoud’s first successful Kickstarter campaign in 2013, the Mine Kafon Foundation was founded. The Mine Kafon Foundation is an R&D organization based in the Netherlands. In the past three years, Massoud and Mahmud have been raising awareness by giving lectures around the world and developing new approaches on how to fight landmines in different environments. In this way, they have crowdsourced many engineers and designers from all over the world and invited them to collaborate and volunteer on this humanitarian project. This way, his ultimate goal which is to remove every landmine over the world is still working on it step by step. Before researching Massoud Hassani and his work, I didn’t realize the seriousness of landmines. Hassani’s design played a role as an entrance for paying attention to a forgotten global issue. Also, it was a good chance for me to learn the whole progress of his design. As he knows the pain of having landmines near home, he constantly improves his design, tries to apply his design in a real world to answers one question. Can design invent solutions to problems that we have put in place? The answer is yes.